Orange Tabby Cat Shredded Couch Cotton Linen Wall Tapestry 40"x 60"
cat Cotton Linen Wall Tapestry 40"x 60"
abstract kitten Cotton Linen Wall Tapestry 40"x 60"
* 10.76 Oz. Made of durable cotton linen cloth material. * Sized in 40"(W) x 60"(H). * Designer Tip: Recommended uploaded image size in pixels (W x H): 3600 x 5400 or higher. 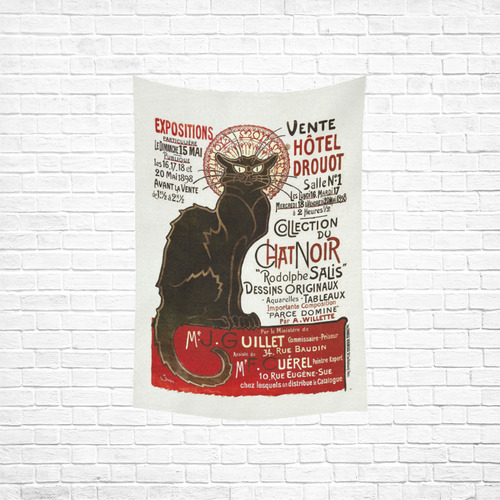 Wall Tapestry 40"x 60", Cats Wall Tapestry 40"x 60", Le Chat Noir Art Nouveau French Vintage, Cotton Linen Wall Tapestry 40"x 60", Le Chat Noir Art Nouveau French Vintage Cotton Linen Wall Tapestry 40"x 60", Wall Tapestry 60"x 40", Wall Tapestry 60"x 51", Wall Tapestry 80"x 60", Wall Tapestry 90"x 60", Wall Tapestry 40"x 60", Wall Tapestry 51"x 60", Wall Tapestry 60"x 80", Wall Tapestry 60"x 90"